Hi, I’m Thatsany Keomany or you can call me Mimi. I was a volunteer with ADWLE in 2015 and I become ADWLE’s staff as Program Officer in 2016. I have a keen interest in the promotion of women’s rights as a tool for achieving gender equality. I have been assisting ADWLE with administrative tasks as well as assisting the Gender Manager with trainings at the Universities, including preparing the summary of documents after trainings and ensuring regular communication between ADWLE and the Universities. I also attend various trainings, conducts trainings herself and acts as a representative for ADWLE at meetings. 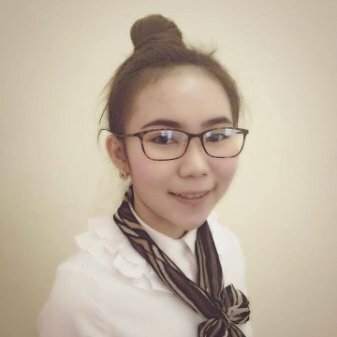 My volunteer work builds upon my Bachelor’s degree in Administrative Law from the Faculty of Law and Political Sciences, National University of Laos, Vientiane Capital. Posted in Staff Profiles and tagged gender, women’s rights.